Oracle Corporation company profile: Complete details and official website details are gathered and a collection of information is given below about DBMS giant Oracle. Oracle placement papers also available in our interview guide portal. Do you know the Bangalore IT firms & their addresses? Oracle Corporation is an American Multinational company established in June 16, 1977 by Larry Ellison, Ed Oates and Bob Miner. Oracle is the third largest company in revenue and it has its own brand of database management systems. President: Mark Hurd, Safra Catz. Simplify- Enterprises must increase the speed of information delivery with integrated system. Standardize – Enterprises must reduce cost and maintenance with open, easily available technology. Automate – Enterprises must improve operational efficiency with technology and best practices. – Oracle builds integrated enterprise. 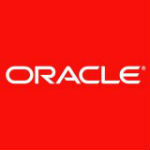 – Oracle realeased its special e-Business suite. – Oracle 10g was released. – Oracle 10g express database edition was released. – Launched Oracle Health Science Institute. – Released Java SE 7. Oracle Corporation has the work force of 118,119 employees as on 2013. Reference: Wikipedia & Oracle website.